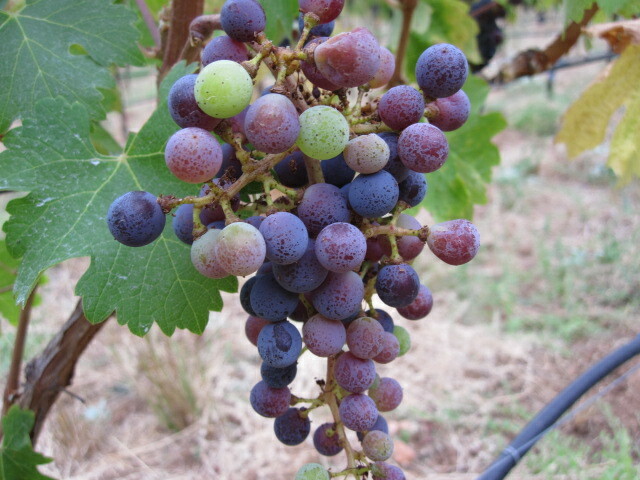 next to it of Petit Verdot which is at 75% veraison. This tells us as winemakers that the Cab will be picked before the Petit Verdot. This of course helps us in our logistical planning for the harvest. Multiply this many-fold and you begin to understand the complexities of planning something that is as dynamic as the grape harvest. At Tom Eddy Wines, we bring in fruit to the winery from several different vineyards from all over Napa Valley. At this time of year we are constantly traveling to all these vineyards to assess the current status of grape maturity. There are several ways in which we do this both scientific and instinctual in nature. The most obvious way of determining berry ripeness is through the good old-fashioned taste test. However, we also like to take a more scientific approach by testing some basic berry chemistry in the Tom Eddy Laboratory or what some commonly refer to as the kitchen…. How this works is, Tom or I will randomly select approximately 100 berries from any given vineyard and bring them back to the kitchen, which, literally is a kitchen but with a few not so common kitchen upgrades that allow me to do some basic chemistry. The 100 berry sample is crushed and the juice that is produced is collected in a beaker. There are three different numerical values that are obtained from this juice sample that give us insight into the maturity level of the grape: brix, Total Acidity and pH. As a grape matures to ripeness, it accumulates sugar through photosynthesis. The amount of sugar accumulated is measured in Brix. Using a refractometer, a couple of drops of the crushed sample juice are placed on the lens of the device. Based on the density of the juice, the refractometer will display a brix value which is very similar to percent sugar but based on density. Once the brix value is around 25 (not exactly 25% but very close), we know the grapes have accumulated enough sugar to be considered ripe for the picking. However, two other factors are also evaluated as brix does not tell the whole story. The Total Acidity and pH values are closely related and also give great insight into grape maturity. As a berry matures the total acidity level drops. If you ever get a chance to try an unripe grape, you will notice an intense sour quality. This is due to a high level of total acidity and makes the grapes at this stage, almost unbearably sour and inedible. However, as the acidity drops and the brix increases due to sugar levels increasing, these two ripening factors come into balance. The key to picking the fruit at the right time is all based on the right balance of sweetness (determined by brix) and sourness (determined by Total Acidity). 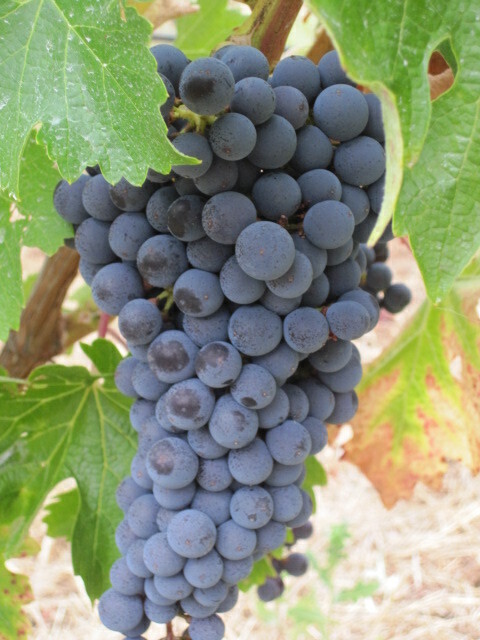 This is why it is so critical to check the vineyards constantly at this time of year because the chemistry within the fruit is constantly changing and evolving towards ripeness and picking the grapes within the right window of time can mean the difference between amazing wine or unbalanced wine.